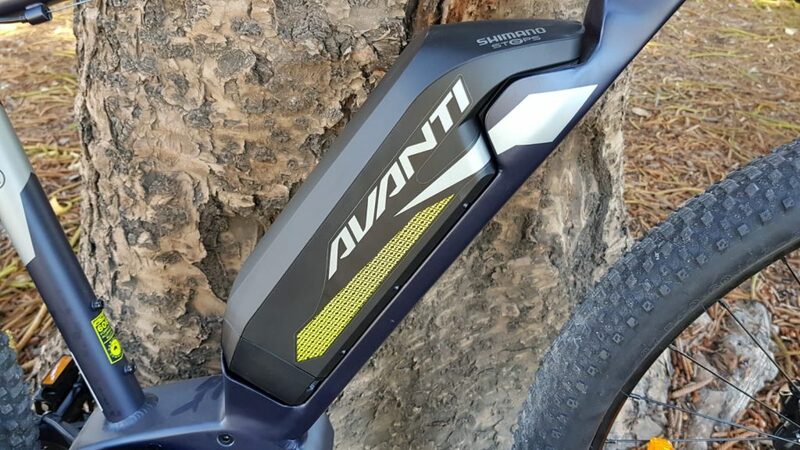 The Avanti Montari E-Sport as the name suggests is an Electric Mountain Bike with excellent build quality and performance. 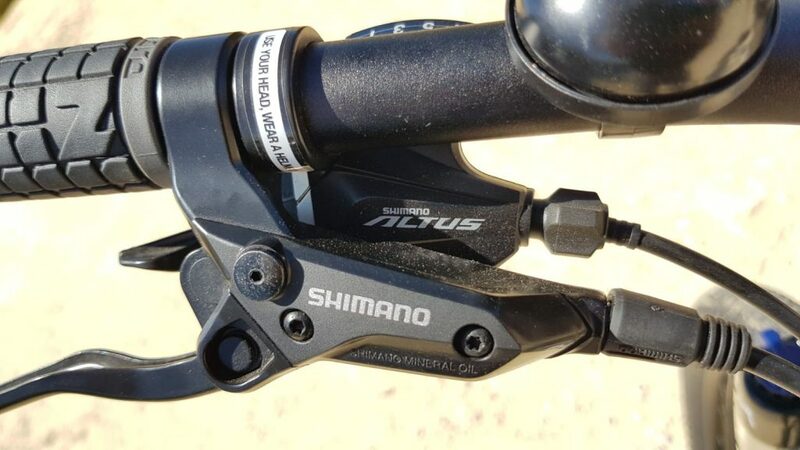 Featuring a full Shimano 1×9 drivetrain, powerful hydraulic brakes and some plush 27.5+ wheels. 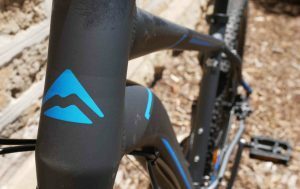 The alloy frame is strong and more than capable on your local mountain bike trails. 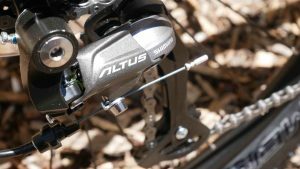 Additionally, it features a Suntour suspension fork with 100mm of travel and an optional lockout making it very versatile, equally at home on paved roads and urban commutes. 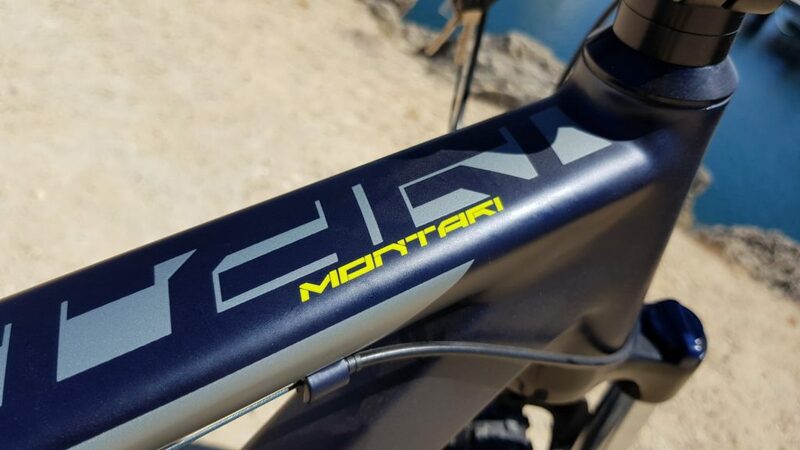 The Montari is equipped with an integrated Shimano Steps mid drive system. 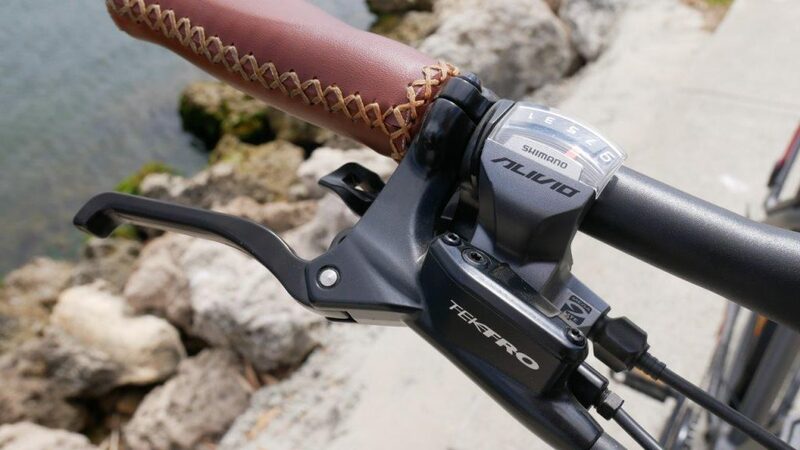 It features a 400Wh battery (36V 11.6Ah) mated to a 250w Shimano Mid-Drive Motor that offers a responsive and effortless ride. 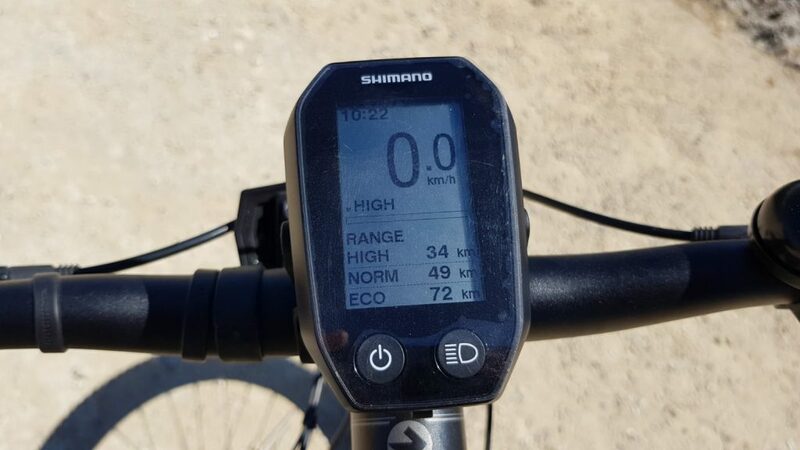 The display monitor is really easy to read and shows 3 levels of pedal assist; Eco, Normal, High. 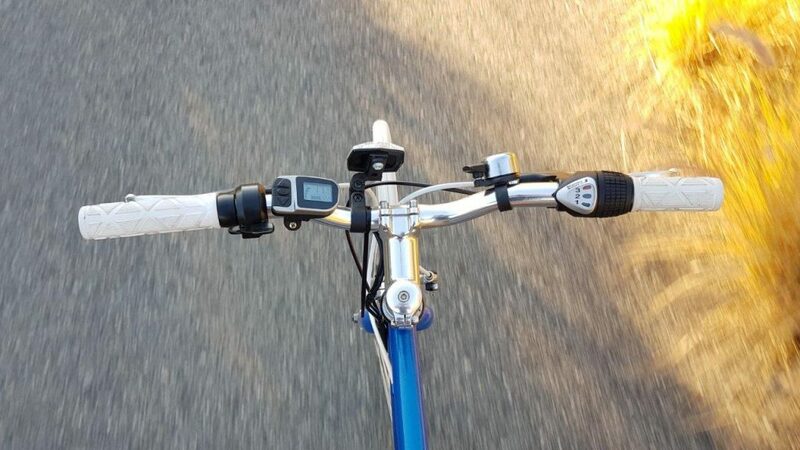 In action, the bike has excellent range in Eco and Normal and you will soon be familiar with finding the right assistance for your journey, be it on a trail, commuting or going shopping. All told, the Avanti Montari E-Sport is a comfortable, easy and smooth ride. 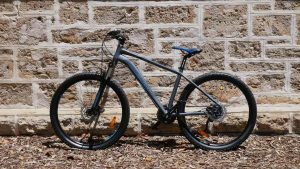 It has the versatility for rougher journeys on trails and comfort for riding through town. With its wide tyres and extended flat handlebars, gives you excellent control both off-road or cruising around town. 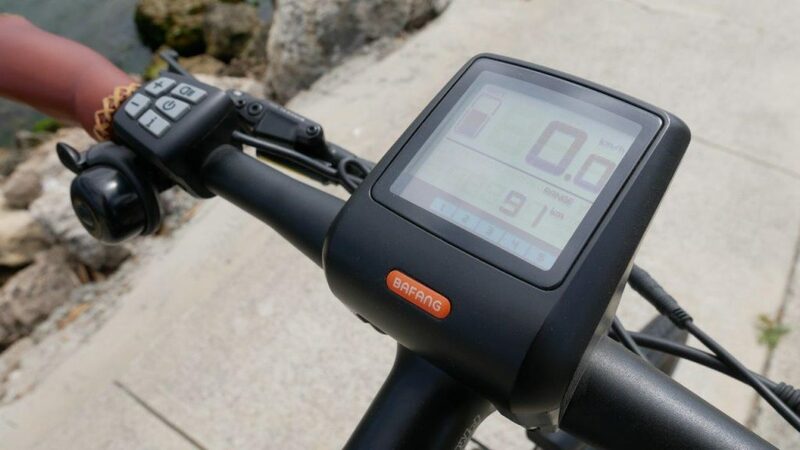 In high-performance mode, you can really feel to immediate pedal assistance on your journey, whilst in Eco mode, you will be able to do more than double the distance on your journey, with the added benefit of the bike being electric you can arrive at your destination clean and fresh. The Roadrunner is one of our finest purpose-built commuting machines with superior rang, performance and comfort. Featuring a front suspension fork and an alloy frame with a relaxed, sloping geometry, this Hybrid E-Bike is a breeze to ride around town. 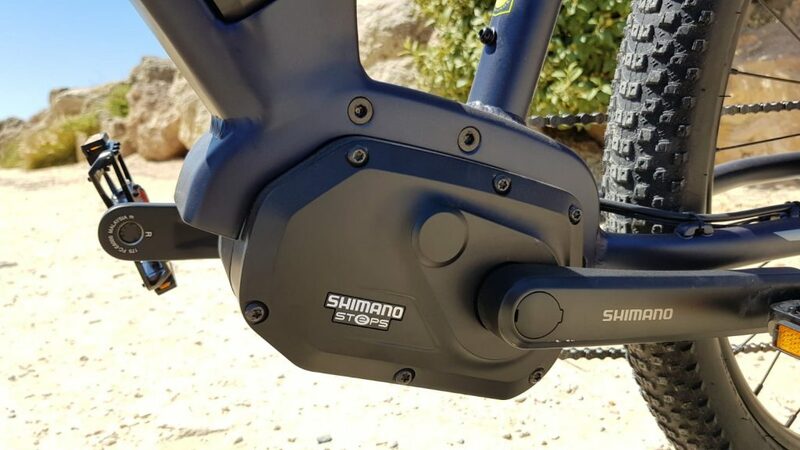 It also features an ever reliable Shimano 1×9 drivetrain, powerful hydraulic disc brakes front and rear and a bulletproof wheelset to make this an excellent platform for everyday use. 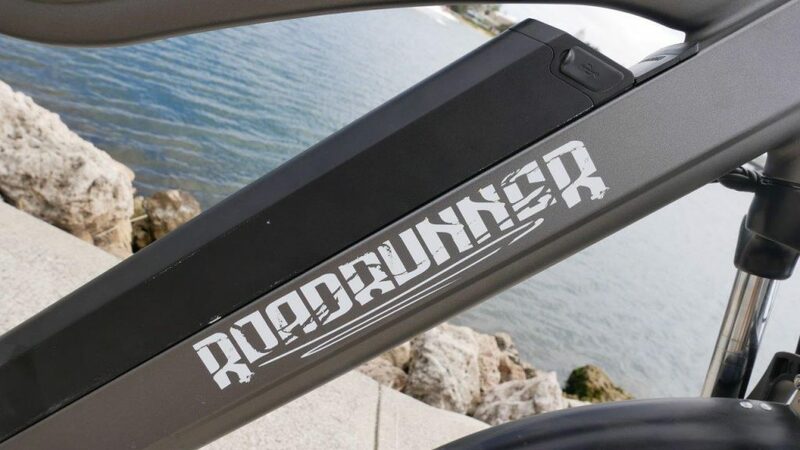 The Roadrunner features a frame mounted 48V 13Ah Panasonic battery mated to a 250-watt integrated Bafang mid-drive motor providing 5 levels of pedal-assist with a torque sensing system. 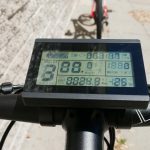 The system also includes Bafang’s excellent display monitor providing useful stats of your ride including current speed, temperature and trip distance. This bike is a dream to ride. It’s excellent build quality and the robustness of its frame and wheelset inspires handling confidence and great road-holding. 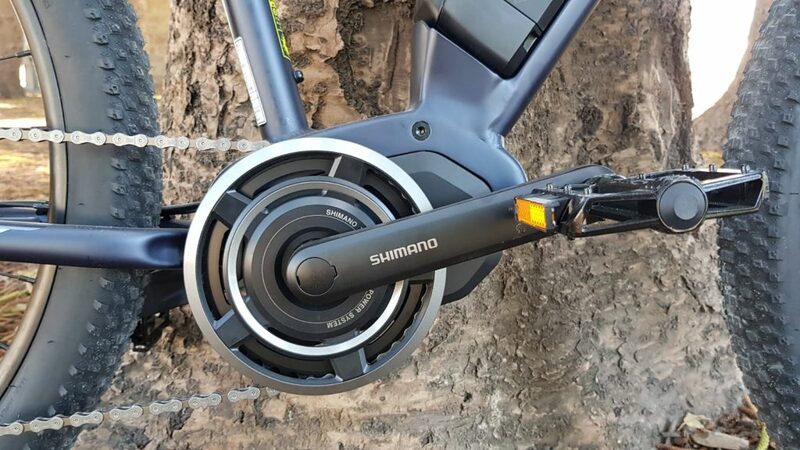 Additionally, the shifting performance of the Shimano drivetrain is faultless whilst the Bafang mid-drive motor with torque sensing is super responsive and makes the ride feel effortless. With features such as puncture proof Schwalbe Marathon Plus tyres, front and rear fenders, integrated lights and a rear rack as standard this bike is more than up to the job of everyday commuting and recreational use. Interested in testing this Roadrunner? 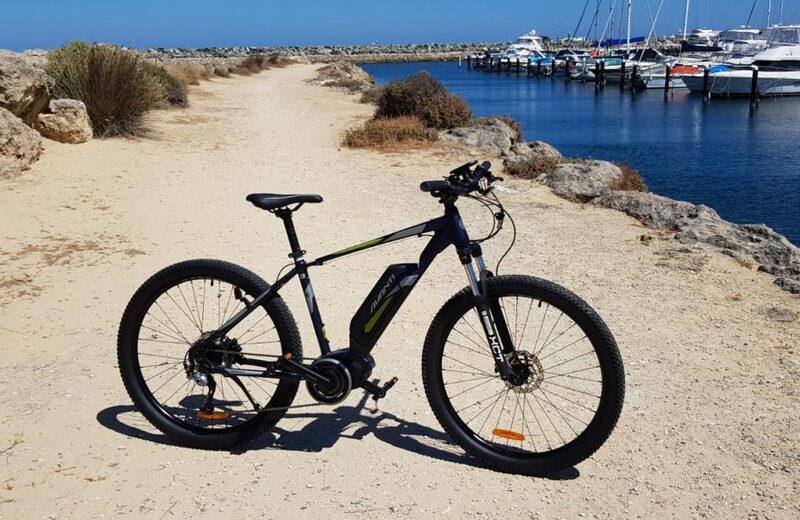 Why not come by Perth Electric Bicycles and visit the store. We are located at the Woolstore shopping centre in Fremantle! 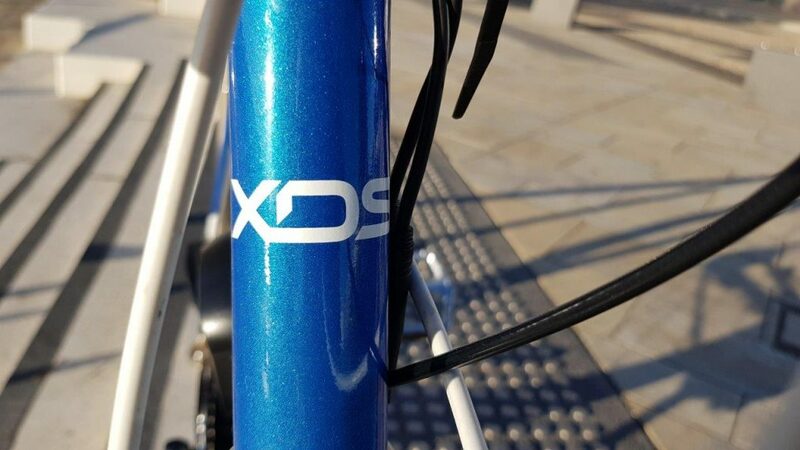 The XDS Street is a beautifully crafted city bike, designed in Australia. It may look a bit like a fixie bike but it actually has a Sturmey-Archer 3 Speed Internal Hub, which gives more flexibility than a standard fixie bike when the going gets hilly. 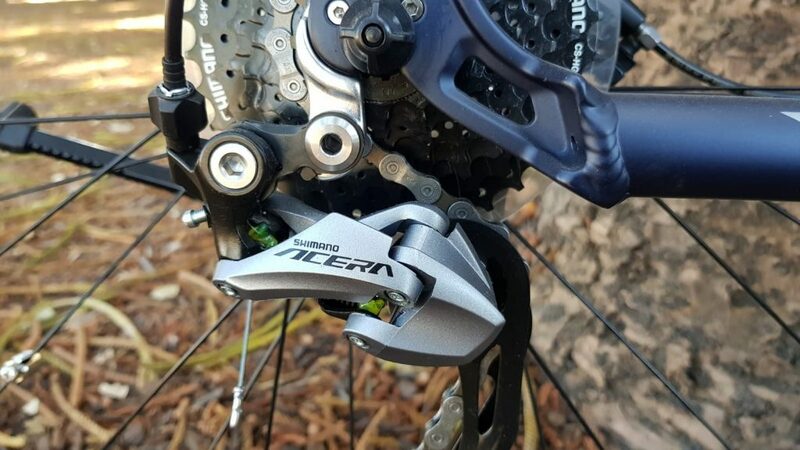 The Street Bike also features Tektro dual-pivot brakes coupled to a set of robust deep section wheels. The paint job looks stunning and giving the bike classically correct look but make no mistake it’s from the 21st century. This bike is fitted with our Solar Bike Electric Conversion Kit. 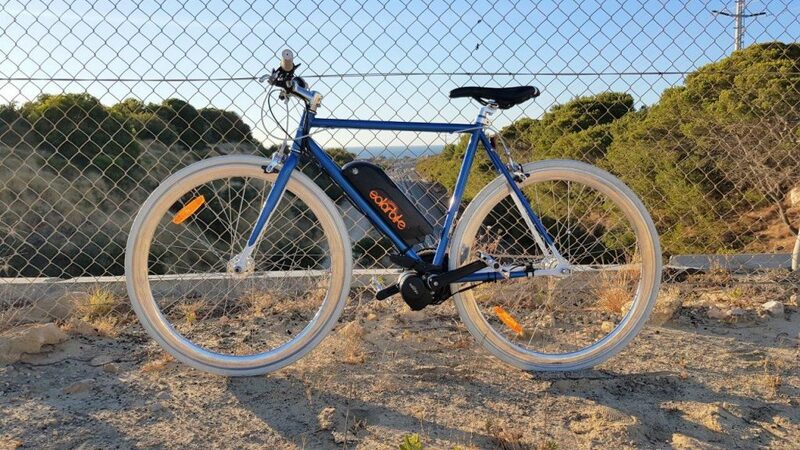 We have a large range of 250 Watt Mid-Drive Motors, this one being our own Solar Bike branded version. Also, we have a large choice of batteries, this XDS comes with a 48V 10.5Ah Panasonic Battery. Combining this kit with an XDS Street Bike makes for a super fun, easy and efficient ride. 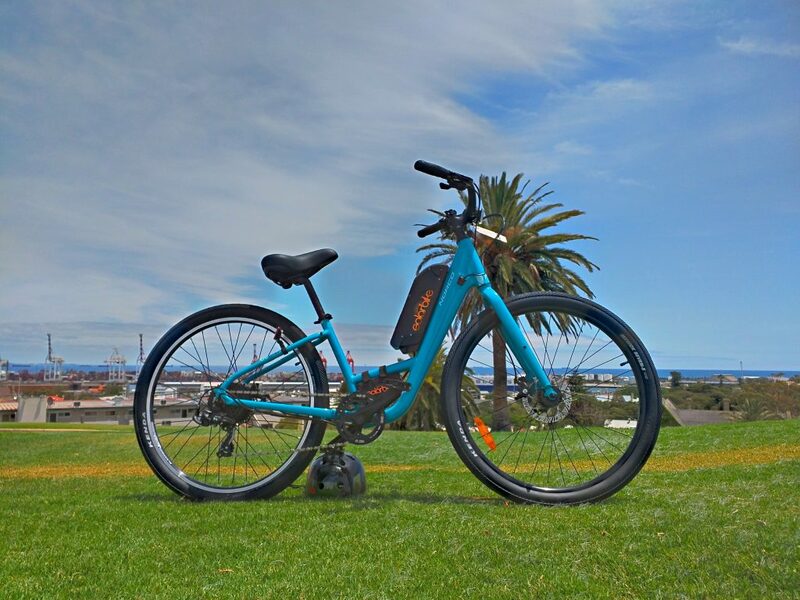 Come and visit our Fremantle store to have a go on one of these excellent urban machines! 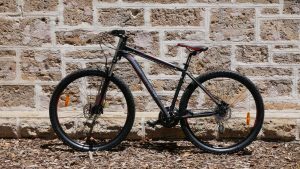 Are you looking for a great value mountain bike? 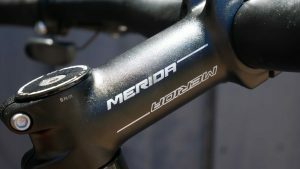 The Merida Big Nine and Big Seven offer a great mix of quality and performance, at an affordable price. 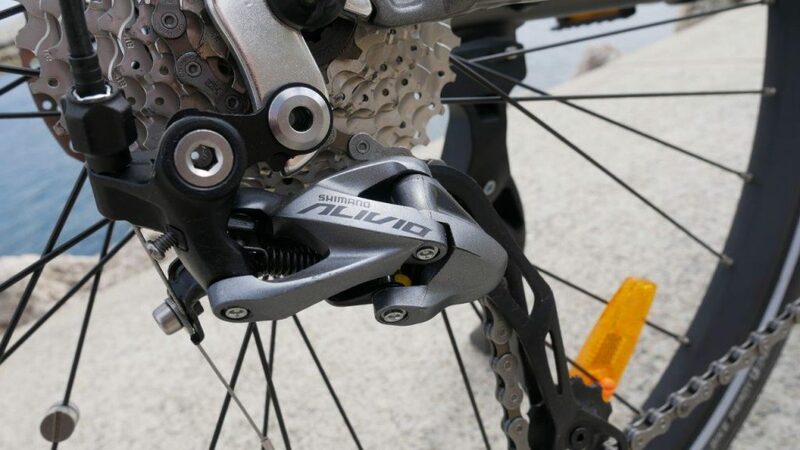 The Big Nine features Shimano hydraulic disc brakes, offering much better braking then traditional rim brakes, and at this price point, hydraulic brakes are rarely seen. 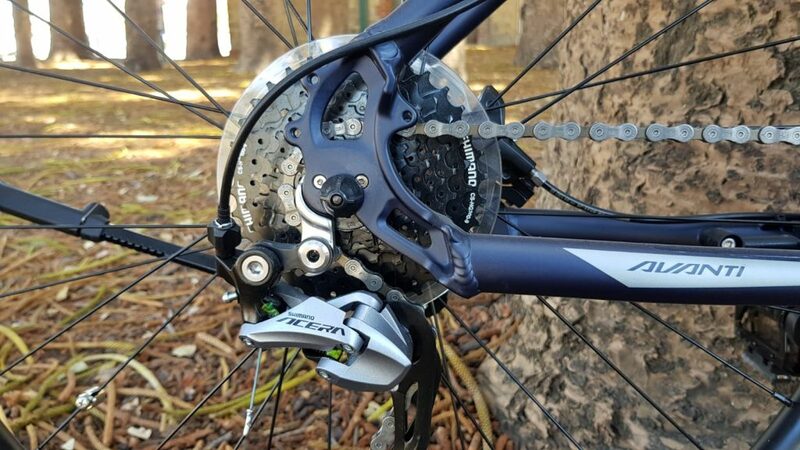 Hydraulic brakes offer far more instant superior braking, than tradition cable brakes. 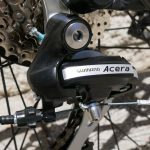 Shimano Acera and Altus offer decent quality shifting. 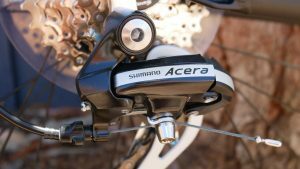 With 24 speed with 3 gears on the front crankset and 8 or 9 gears on the rear, which offer a wide range of gears for climbing. 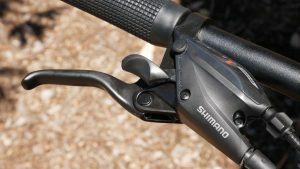 Also, front suspension fork has a lockout feature, handy for going off the trails back onto roads. 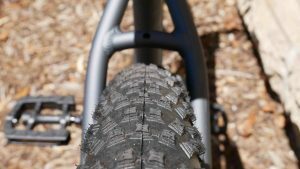 With Merida’s house-branded tyres going down or up your local trails, is a blast on the big nine and big seven. 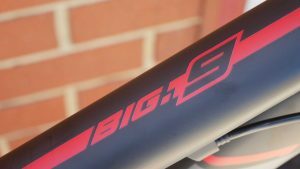 As the name suggests the big nine has, large 29-inch wheels which have higher clearance for the bottom bracket to get over large or high roots, and better rolling resistance, due to the larger diameter (put simply, its got better angle of attack on bumps on the trails). On a road, you will notice it’s more efficient than your traditional 27-inch wheels. 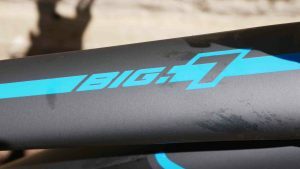 Big Seven, on the other hand, has, 27-inch wheels are better for smaller riders, or high roots, they also offer better control, as you can fit wider tyres. The Merida Big Nine and Big Seven can be fitted with our Solar Bike Electric Conversion Kit make for even more fun, easy and enjoyable ride. 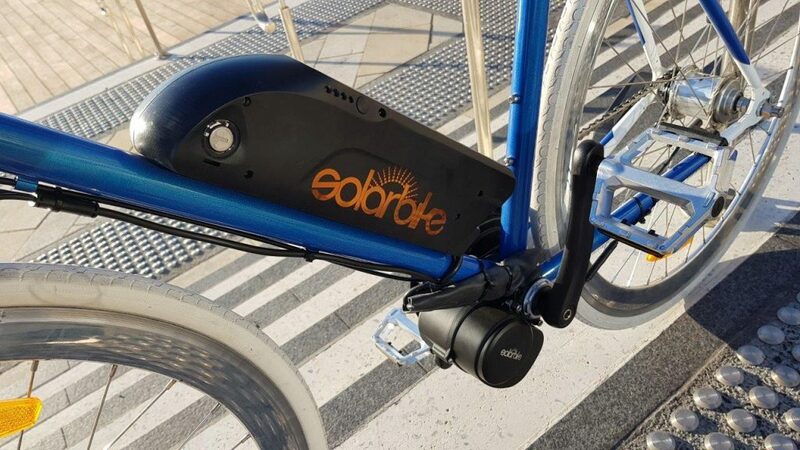 The Solar Bike Electric Conversion Kit we can offer is mid-drive motors and wheel hub motors, with a various range of 250watt motors. Then our Panasonic batteries, we have our large 17.5Aph to 21Aph batteries, giving you a longer range. Then our smaller 9Aph to 14Aph batteries still offering decent range, but at affordable prices. 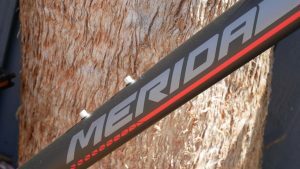 Visit the store and test ride this new Merida Big Nine or Big Seven! 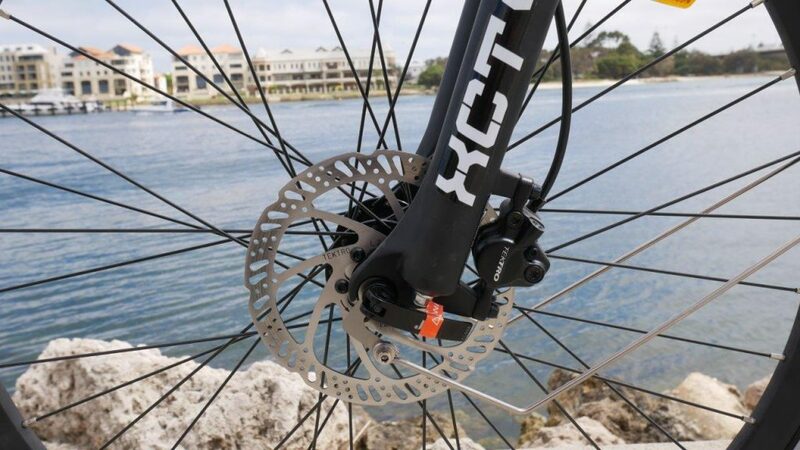 An upgraded version of the Norco Scene with hydraulic brakes and an electric conversion kit. 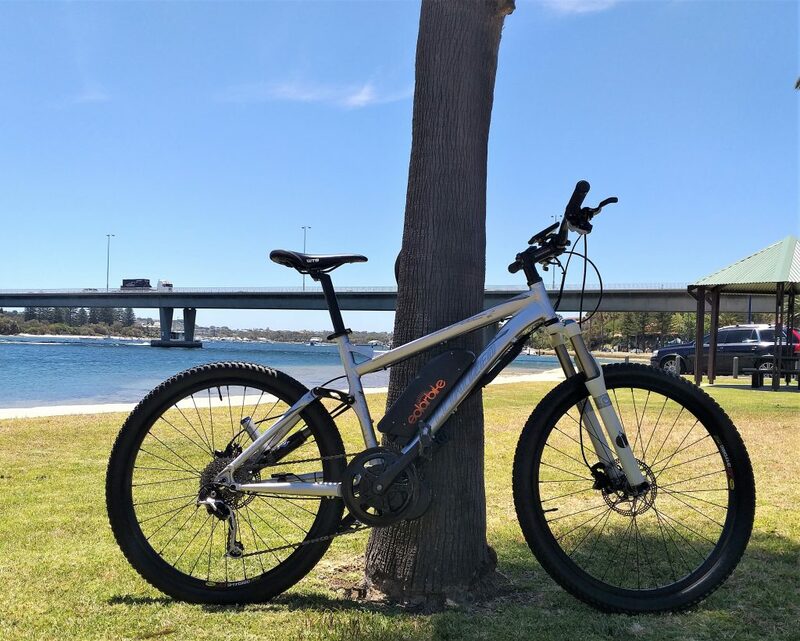 Stepthroughs are one of the most popular style of bike we sell here at Perth Electric Bicycles and they offer a number of advantages over the more conventional diamond framed bikes. They typically offer a more comfortable, upright riding position that affords good all round vision and are also significantly easier to get on and off for those with knee and hip injuries. 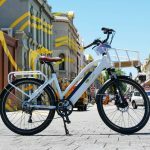 These features combine to make an incredibly practical and easy to ride bike, ideal for running errands and enjoying a more relaxed rides with family and friends. Additionally, they’re ideal for people new to cycling or for those who are lacking confidence on the bike. 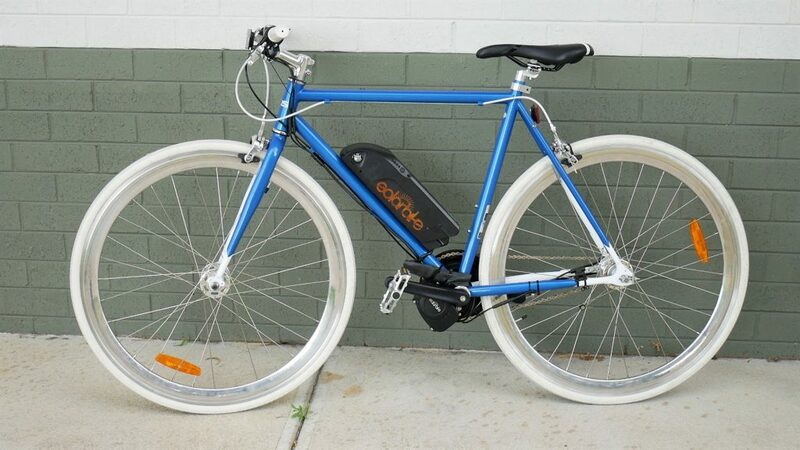 They’re also a great choice for electric conversion to make them the ultimate town bike! A great example of our standard electric conversion kit for a stepthrough. 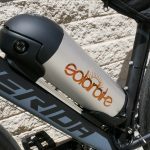 Stepthrough bikes are often ideal for electric conversion, but there are a couple of things to consider, most importantly: where to fit the battery. Oftentimes, a rear-rack style battery is the best option for this, given that they don’t encroach on the stepthrough clearance whilst also providing useful storage capacity. 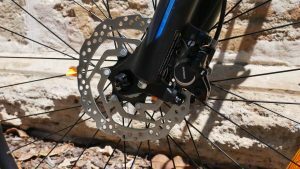 This can, on occasion make the bike a bit tail-heavy, however, this can be offset to some extent by opting for a front wheel motor kit. 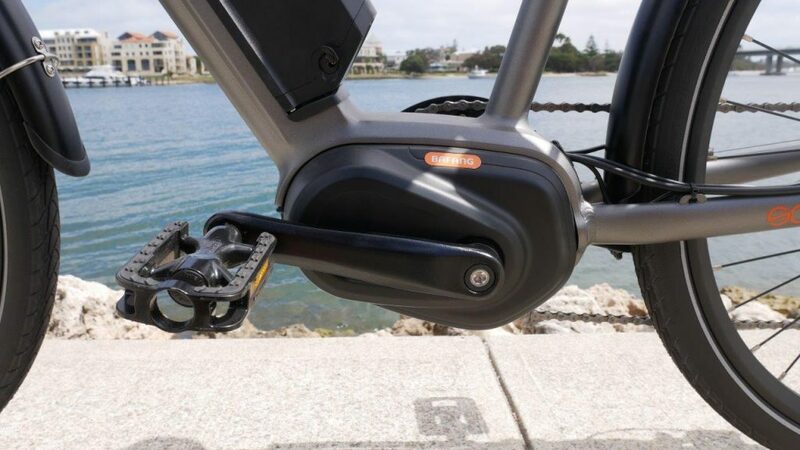 There are, however, a number of newer stepthrough designs that have sufficient clearance to mount a central battery which greatly benefits handling balance by keeping the additional weight central and as low down as possible. Bikes such as the Specialized Roll, the Avanti Metro and others will allow for this. For the best bike in this category, however, look no further than the Norco Scene. The Norco Scene has been around for about a year now and in that time has become a shop favourite for how it takes an electric conversion and, more importantly, how well it rides! With its lightweight, single bar alloy frame and an excellent riding position it’s a great all rounder for everyday use. Other features such as disc brakes and generously sized city tyres allow for dependable, not to mention comfortable performance. We’ve fitted it with our centrally mounted PANASONIC Tigershark battery that has minimal intrusion into the frame clearance and a 250 Watt rear-drive motor. That said, this bike has enough versatility to accommodate a wide variety of different electric conversion kits that we offer. Coming into the busy period of the year, we’re fully stocked on these fantastic bikes and electric conversion kits to match, so there’s never been a better time to come down for a free test ride. And for any further information on these bikes and other electric stepthroughs don’t hesitate to get in touch. 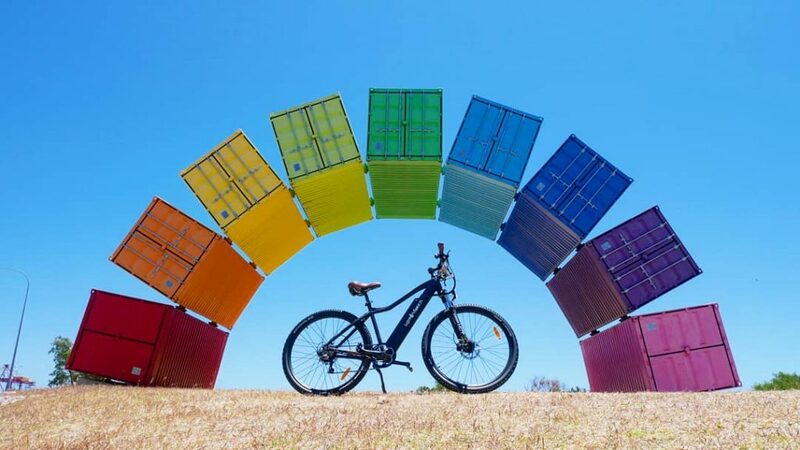 With the summer months well and truly underway, we’ve been busy fitting out bikes of all shapes and sizes with our SOLARBIKE electric conversion kits. This one from last week stood out as the pick of our recent builds: the full suspension Specialized Epic. 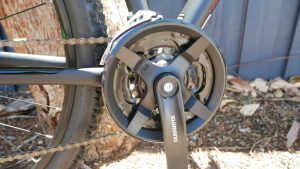 There’s a lot to consider when selecting a full suspension mountain bike for an electric conversion as we’ll mention in a later post. In any case, the Epic really does tick all the boxes! This is a 2007 Specialized Epic which featured a unique suspension design that allowed for minimal intrusion of the suspension components in the frame clearance. They’re super efficient and capable on the trails, not to mention comfortable on road which makes them a great platform for an electric conversion. 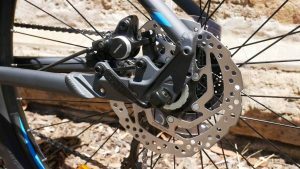 Added to this, the high end Shimano Deore XT components make for excellent performance and reliability. The Epic is one of those rare full suspension bikes that is compatible with both a rear wheel hub kit and a mid drive system. We opted to fit it out with a BAFANG 750 Watt high power system to give it unbeatable performance both on and off road. Equally rare is the amount of clearance in the front triangle which allowed us to fit our 48V 10.5Ah Tigershark battery. The result is an electric conversion kit that integrates well with the bike in terms of both appearance and function. 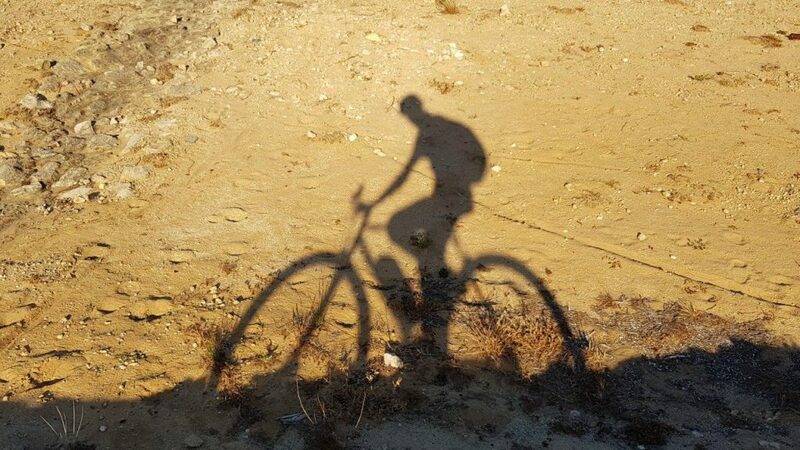 Suffice it to say that the Epic was an absolute blast to ride both on a paved surface and on tracks and trails. 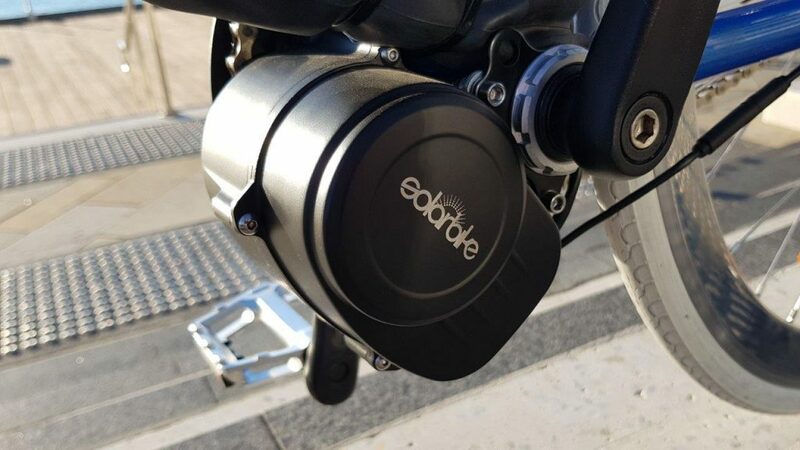 The electric kit being mounted as central and as low down as possible greatly aids the handling balance whilst the BAFANG motor provides phenomenal power and torque. The bike is more than 10 years old now but still feels as up to date as more recent models with sharp handling and comfortable ride quality. Bikes like this really do make a strong case for the versatility and performance of our electric conversion kits! If you’re thinking about converting your own bike, why not consider stopping by our Fremantle store for a chat. We’ve got a huge range of kit options to suit all needs and budgets as well as a huge depth of experience in converting bikes to match! An excellent value town bike with go-anywhere portability! 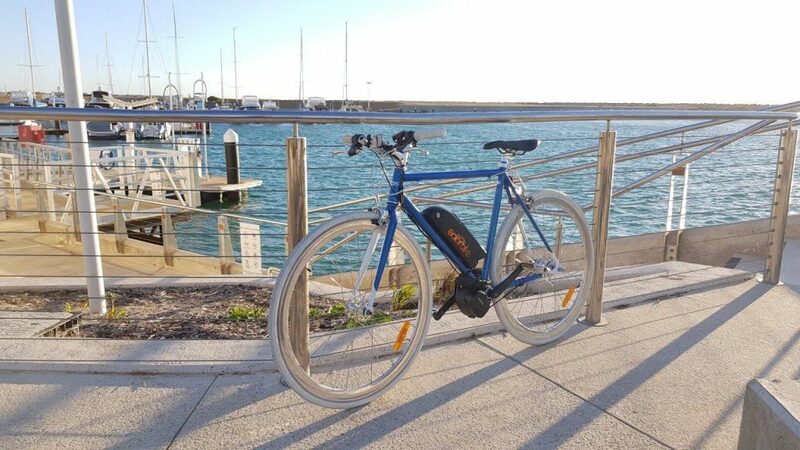 With the Perth summer fast approaching, now is a great time to pick up one of our latest complete ebikes! 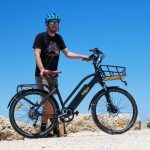 The folding Zhini and the rugged Bushranger are two totally different styles but have plenty in common such as high quality Panasonic integrated batteries, intuitive pedal assist systems and quality running gear to ensure comfort and reliability. A great value all-rounder equally at home on the trails as it is around town. 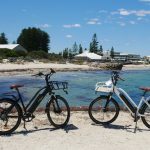 They’re a great way to get out and see the sights without having to worry about the heat or the wind that summer in Perth is renowned for. 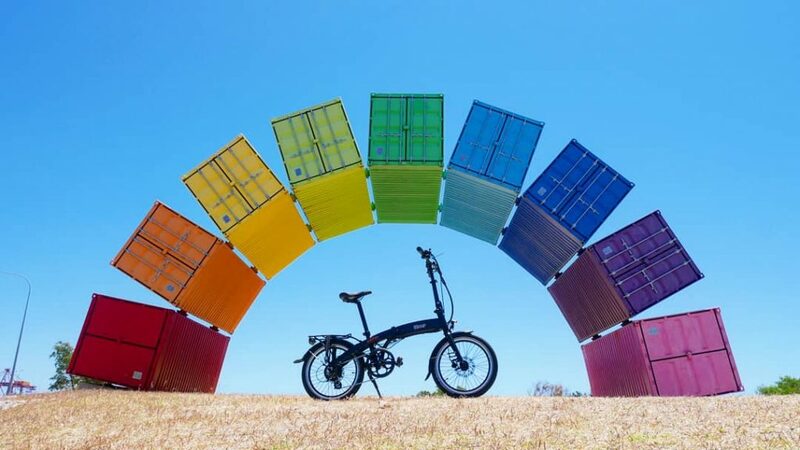 We’ve got these and a wide range of other great ebike models currently setup in store as well as the expertise to make getting out and about on your new bike a breeze! For performance, comfort and practicality, this is one of the best ebike options out there. Step-through bikes are among our most popular models for both men and women, however, in the former’s case, finding an appropriately unisex design can be difficult. Happily, however, we’ve recently brought in a range of electric step-through bikes that should appeal to both: the SOLARBIKE Olive. 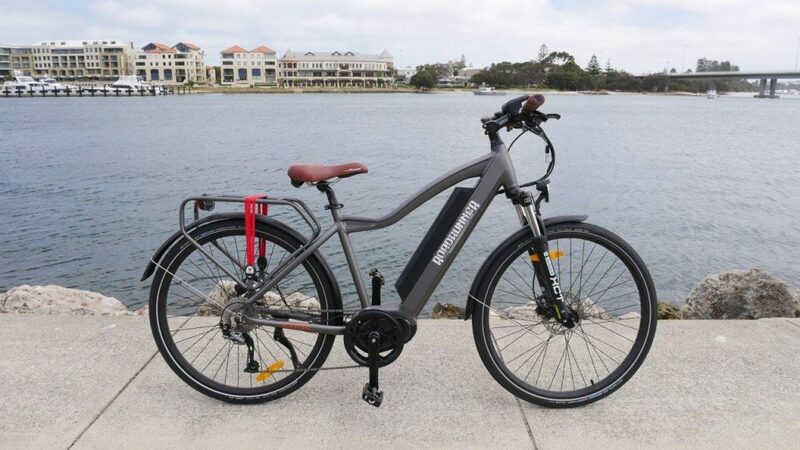 It’s a comfortable, well equipped not to mention practical electric bike with a host of great features that make it a breeze to ride! 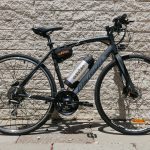 With its upright riding position and low stepover height, this bike is ideal for people looking to get back into cycling with their first electric bike. Also, with front and rear racks, fenders and lights as standard, this bike is practical and ready to ride for both commuting and recreational use. 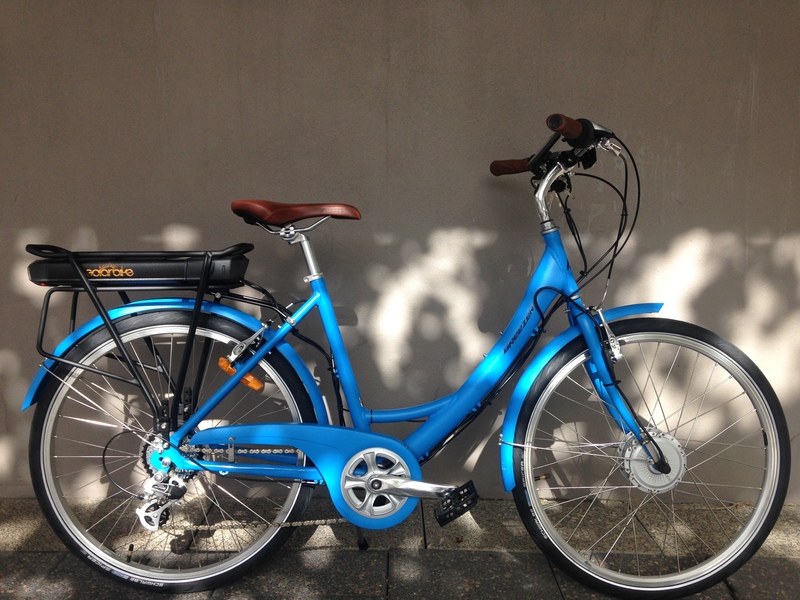 We’ve got a number of these models set up and ready for a test ride in our Fremantle store! With summer fast approaching, we’ve been getting some exciting new models on our shop floor ready to test ride. 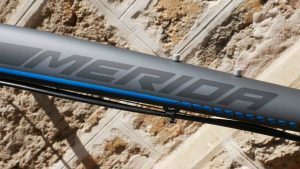 This one is perhaps the pick of our recent builds, the MERIDA Speeder 20 flat bar road bike. 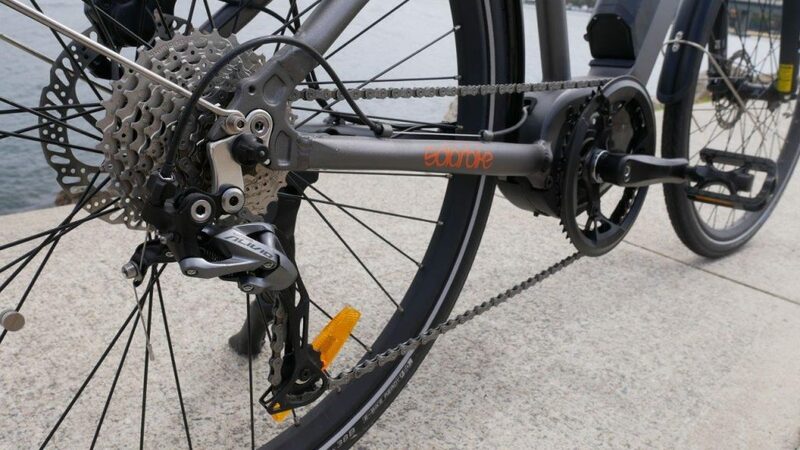 It’s a versatile bike for both commuting and fitness featuring dependable SHIMANO hydraulic disc brakes, a 24 speed drivetrain and a lightweight alloy frame. 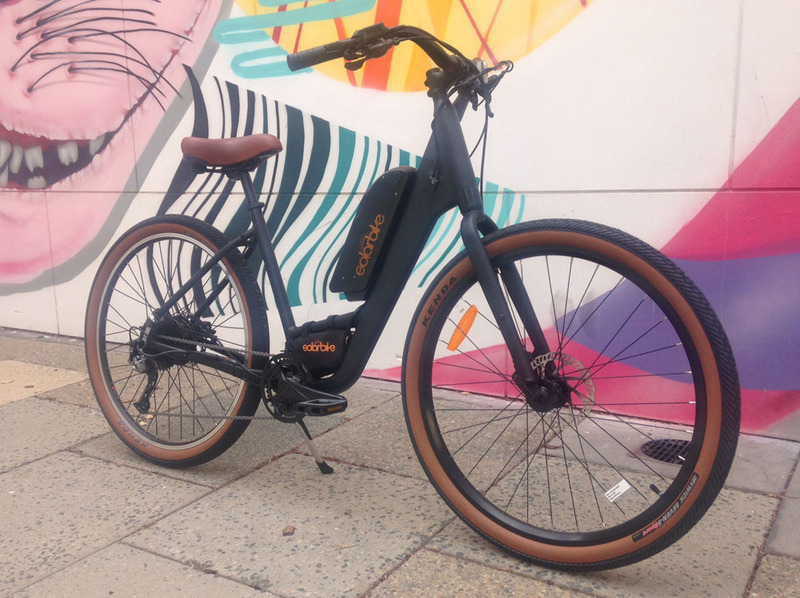 We’ve fitted it out with our 250 Watt rear-drive electric conversion kit with a 5 stage pedal assist system to make this the ultimate daily commuter as well as a great bike to get out and about on this summer. 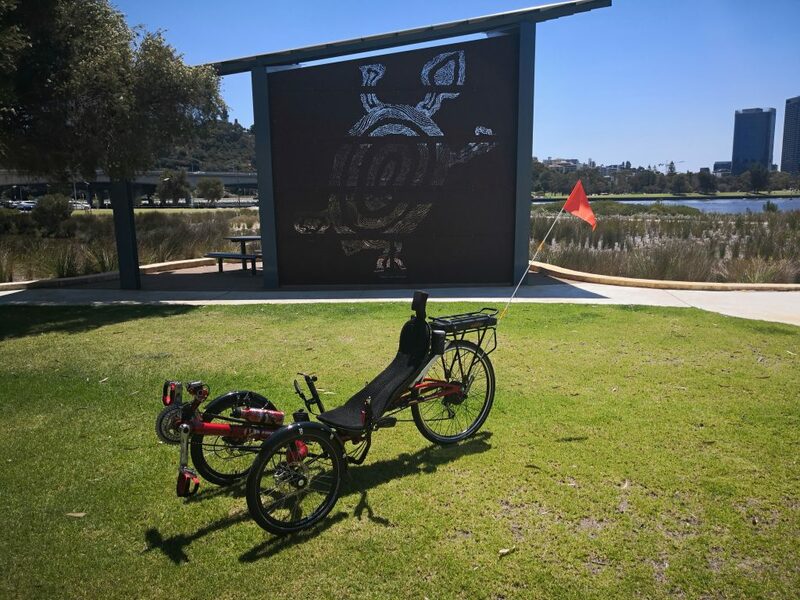 Recumbent tricycles are becoming more and more popular around Perth and with the added electric assistance you can really see why. This particular recumbent works well with a rear rack battery over a rear 200w hub motor making for great range with usable power and speed. This small, light package makes the recumbent very easy to use and stable at higher speeds. 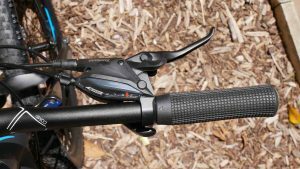 It is fitted with a direct throttle on the bars for easy control when ever the assistance is needed. We look forward to seeing more and more recumbent tricycles out and about due to their great efficiency and comfort all helped with a SOLAR BIKE electric conversion kit.